14 April 2019, Dera Harisar, Kila Raipur: Well, it was a day that carried along with it loads of reasons for us to celebrate. To begin with, the auspicious Vaisakhi was here symbolising the fruits of hard work done by farmers throughout the year. Plus, this was the day when ‘Khalsa Panth’ got initiated a few hundred years back. And what’s more, the icing on the cake for a seeker of the divine path within oneself, this day also happens to mark the Birth Anniversary of our beloved Gurudev adored by the name of ‘Kali Kambli wale’. 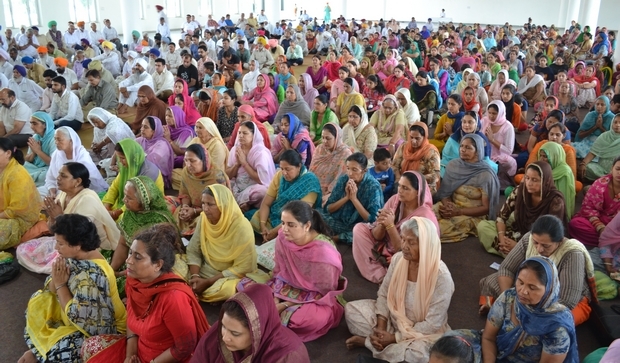 Like always, a good number of devotees had gathered around on the holy lands of Harisar to pay their heartfelt tribute and thus seek His blessings. 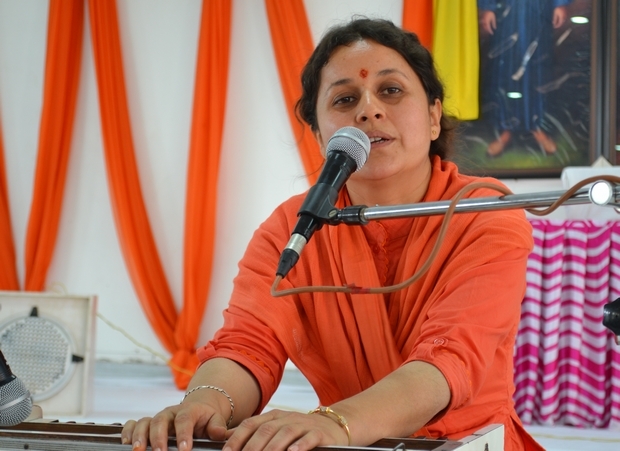 Sadhvi Yoganjali Chaitanya Puri Ji addressed these aspirants and shared the message emphasizing on how can we pay tribute in its absolute sense. A few pearls from the talk delivered by her have been shared here. Let’s collect some! So as to be able to celebrate the day, as per the Barah Maha Path, one must strive for the company of saints, as and when one can. Why, because the saints, or the Gurudev in specific, is the sole door to our core. Putting this in another way, Guru is the only bank available for bathing in the river full of divine nectar. Key is to be consistent and persistent, i.e. 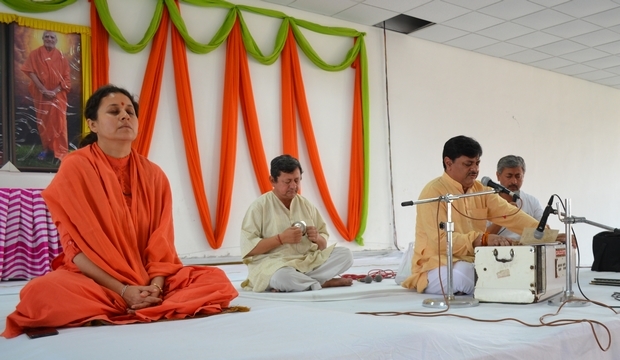 disciplinable when it comes to our daily practices especially that of practicing Guru-Mantra. Just the way it is mandatory to attend a school, having learned from teachers to be able to go all the way up the worldly higher education, likewise, there must be absolutely no doubts about the need of a master, a Guru when we seek a deep dive in the ocean of divinity. And only then can we be so sincere and dedicated towards it that this honest practice of our respective routine would find its place to the levels of Body, Mind & Soul; eventually letting the wall of ego get demolished. It doesn’t matter how He, our Gurudev did, what holds significant power is what He instead suggests. Our receptivity should be at the level of no matter how so many mistakes we do, or how so many ways we might get scolding, the aim should be Him, His love abiding by its teachings. Because remember, He is the sole door to our core. There is absolutely no other way out.